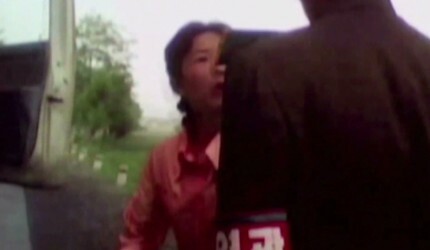 North Korea: "The Impossible State"
A groundbreaking new documentary is using smuggled footage to paint a new and dramatic picture of the Hermit Kingdom, North Korea. Much of the world sees North Koreans as brainwashed and subservient, bowing down to Supreme Leader Kim Jong Un. The Frontline documentary “Secret State of North Korea” from the American public broadcaster PBS shows that for many people in North Korea, just the opposite is true. “We saw lots of examples of people standing up to authority in ways that we hadn’t expected,” Director James Jones told CNN’s Christiane Amanpour on Wednesday. One of the most dramatic pieces of footage was of a woman, who has set up a private bus service using a pickup truck. Victor Cha, who as the former Director of Asian Affairs for the U.S. National Security Council is an expert on North Korea, said that it is often women like her who are starting to open up North Korea. The documentary also shows cracks in the regime’s information barrier. North Koreans, particularly young ones, are obsessed with American movies and South Korean soap operas, Jones said. The documentary depicts a complicated and daring system whereby DVDs, laptops, and thumb drives are sneaked into the country across the border with China. A young woman, who grew up in North Korea but defected to South Korea, says that her exposure to free media was critical. It breaks the “spell of the regime’s propaganda,” Jones said. For the people who smuggle goods into the country – and indeed for those who filmed the footage contained in the documentary – it really is “a matter of life and death,” Jones said. One smuggler interviewed in the documentary says that he knows he would be executed if caught by the North Korean regime, but feels he has a duty to continue. So how did Jones get the footage he did? He told Amanpour that he his team realized “pretty early on” that there was no point in going on a tightly controlled government tour, where contact with “ordinary North Koreans” is very limited. No American or Western official has met the young North Korean dictator, Kim Jong Un. One of the few Westerners who has is former NBA star Dennis Rodman. Just this month, he sang ‘Happy Birthday’ to Kim in bizarre fashion. There is a school of thought, Jones said, that the more contact with North Korea, the better. It may be just a small peek inside the secretive regime, just as the acts of defiance portrayed in Jones’ documentary seem ordinary and every day – but the long-term significance may be huge. It's only stunning if you believed the NK society being the RL version of 1984 incarnate. Reality seldom lives up to the demonizations. It is only stunning if you believe that guard being pushed around is not impersonating an officer. A bit worrisome if they are basing reality, their dream future, on movies and soap operas. …so appreciate your commentary !!!! should you not have covered the faces of some of the people? Like the woman who stood up to the guard! The truth needs to get out...but not at the cost of someones life! If their reputation is so brutal they will track her down! Who could be more defiant and subservient than some of the US citizens? If the US does wish North Koreans any good, then stop bullying it. CNN, PLEASE AT ONCE RESPOND to the concerns that YOU HAVE ENDANGERED THE LIVES of the people in the videos. Much as your readers are curious about N Korea, there is no need for the videos. They don't make a jot of difference to our lives. Unfortunately you can't say the same about those who are exposed (by journalists.... in the comfort and safety of their own countries ) as rebelling against the execution happy regime . As CNN regularly informs us, N Korea even has a retribution system which punishes not just the person in question but generations of his or her family . Fantastic video. Let us hope that NK goes the same way as the Soviet Union. Why the heck are you showing that woman's face and the licence of that truck? Do you want her to be killed? How much more unprofessional can you get? Come on, showing that lady's face like that? Haven't you learned with all your experience or are you still stuck with gaining fame without even thinking about ethics? let me be the first to welcome all the Official North Korean visitors commenting on this story. this by the way was not a CNN story. the video is PBS Frontline. I would hardly call North Korea a `hermit` state....at least you can get a tourist visa to visit. Which is more than you can say about Saudi Arabia, who does`nt issue tourist visa`s to anyone! This makes me happy. The young are slowly seeing the world around them. There are cracks in that hermit shell and they're slowly becoming wider with time. They should not have shown her face. Both she and her family are in horrible danger now. This was terribly irresponsible to do. Why would you not blur all of their faces? LOL because Kim having a baby is valuable information. Rodman isn't going to come out with anything any more enlightening than anyone else lied to by them. Everything happens for a reason. Baby steps are the hardest steps we take in life. Good! Get smart people of North Korea, look at the people in the South you deserve that too. Stop putting up with the nonsense your leaders feed you. Look at how much effort and resources gets wasted on your military and pet projects for your leader (Like the ski resort, the monster hotel that has been under construction for 20 years) then ask if that is a good reason why people should not have heat or food. Same old propaganda,it,s as if we Americans really care about N Koreans. The sad thing is though that woman that defied that officer is probably dead or in jail. That officer probably was disciplined for failing to do his job. People that know that woman are probably dead or in jail. People that look like that woman are probably dead or in jail. Don't think for a second that N. Korean officials aren't going to try and do something about this after it entering public attention especially since there are those within their country fighting back, but for these people I think they know what they have gotten themselves into, and we can only wish the best of luck for them. The woman who is shown defiantly standing up to the "authority figure" is more than likely dead now. All the information needed to identify her was provided on the film. I hope she felt it was worth it. If a few million of her contemporaries showed as much defiance it might make a difference. But then again, maybe not. 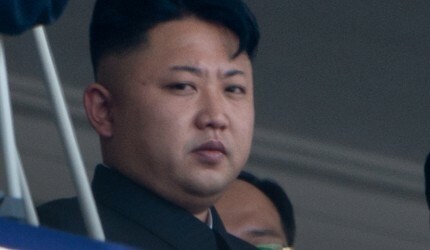 Maybe Kim would be happy to execute a few million in order to maintain control. Fewer mouths to feed. I hope they didn't cause this woman to get into trouble. As China's wealth increases the NK gov. won't be able to hide behind their bs. I've been to North Korea. There are two very distinct sides you see. One is the total submission to the Party and the Leader, but this is for the most part, a survival mechanism and lip service. North Korean tour guides are very selectively vetted for their loyalty to the State, but even on our tour, the lead tour guide was very interested in trying to do some side business with me. Politically he was very loyal but he wanted to be a businessman. The other tour guide who was younger was far more interesting. She at one point during a long walk and far out of reach of the senior tour guide started asking me all sorts of very political questions and expressed her deep concerns about what was happening in North Korea. During the tour we had been asked to bring along family photos to share with the guides. I did, but included in the photos was a trip I had made to Seoul several months earlier. I showed these photos to the younger tour guide and the look on her face said it all. She knew she had been lied to about how 'poor' South Korea was by the Party. I also gave her an iPod full of western songs which she loved. She said to me, while it's dangerous to own something like that, many ppl have them and she didn't care if she got into trouble. It was an amazing trip, full of many bizarre incidents, too numerous to mention here. But I did a lot of filming there and easily smuggled the film out from my camera. 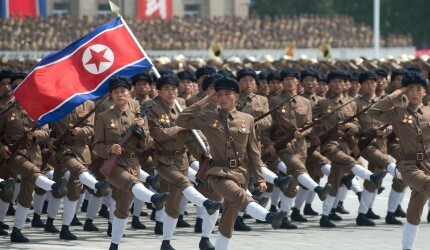 I wish the NK ppl all the best in their fight against tyranny. nothing new, black market was always there and NK soldiers doing that to get paid. Why would any logical sane person believe anything that fox, cnn, etc.... publishes? You can fact check(if you want the truth), and discover that they have an agenda. All they do is publish propaganda and rhetoric! Entrepreneur-ism does fill the gap of failed communism, but I'm not sure the woman berating the soldier still wasn't an example of someone from the party elite exercising her power. Someone being in uniform doesn't mean that person speaks for the local power. Interesting! Anyone who abused a U.S. police officer like that lady did to the NoKo cop probably would be shot dead on the spot. Happens all the time. I have to ask if it is possible that the opposite is taking place. China has had a chock hold on North Korea for quit some time. Is it possible that the young leader has a long term goal of setting up more of a monarchy than a never ending dictatorship. I could see why China would gasp. After all China has enjoyed the privilege of past leadership in North Korea. A middle man to keep their hands clean. But always there to use in convenience. Is it possible that the young leader is in fact purging the current communist party to make way for a stronger more open relationship with the world. In order to make the transition from a dictatorship to a more democratic structure one would need to eliminate the control powers, then move to more of a monarchy after that many years of indoctrination it would be important to the loyal for the family or dynasty to retain leadership. Civil war is not a healthy or wealthy transition. Though it may be desired by China in an effort to stop progress. I have a feeling that maybe the young leader saw as a child the chains and bonds placed on his people. This transition would take time and very real caution . I could be wrong. 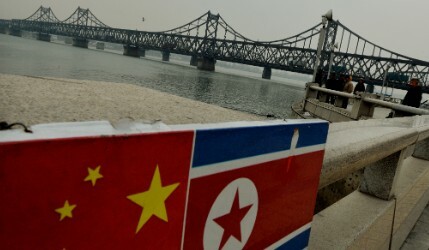 I am wary of China's assessment of North Korea. And I think that China's interjection of itself in the language used is a threat to the current leadership, after how dare he interact with an American with out China's stamp of approval. I can also see that the young leader would be concerned that future allies would stack the deck. The young leader inherited a tough spot. I think that for a relationship to be cultivated between the United States and North Korea we have to not be afraid to confront the piles of dirty laundry. I have to be not afraid to admit that I to have failed, I failed secure my boarders, I failed to produce jobs, I failed at allot of things. I have more people in prison than any other country. Maybe that needs to change. Maybe the young leader knows mistakes have been made on both sides. What are the odds? You can not say impossible no such odd exists. Oh your probably right. What the hell do I know? For a good book about North Korea, read _Nothing to Envy_. I forget the author's name. The book is on Amazon. It's a page-turner about the before and after lives of about a half dozen people who defected from NK. You can really notice all the countries that were influenced by Russia over the years just by the way the march. The woman who stood up to the guard did not care about the political regime. All she cared about was here business. She did not want the guard to interfere or pay him the bribe. She saw that he was a young dude. So pushed him around. That's all. Does Kim read and view outside media? Or does he actually believe his own propaganda, although I wouldn't think so. I can't believe CNN would show that brave woman's face. Maybe she had enough and couldn't take another moment of the regime's tyranny, maybe she was just having a bad day and she had every right to stand up for herself. But now that woman won't be able to hide away from what she did thanks to CNN. They must have known the possibility of the regime's punishment once the regime finds out what she did. Or did CNN think She is ONLY one life in a regime that does not hold value to human life anyways so it's not even worth blurring out her face. VERY VERY DISAPPOINTED at CNN. THANK YOU CNN FOR YOUR DILIGENCE IN ASSISTING THE REGIME'S WORK OF ROOTING OUT ANY TROUBLE MAKERS WITHIN NORTH KOREA. I don't believe that exposure to decadent Western culture will turn North Korea away from their path to socialism. How irresponsible is it to show that woman's face standing up to security? Has ANYONE thought of her? What do you think has happened to her since this video was aired?! Must as well have put her against the wall and pulled the trigger yourself. WHAT KIND OF JOURNALISM IS THIS CNN!?!?!? Actually a show with Scott Wilson travelling here was quite an eye opener, pretty nice place and their Guides were won over in a day or two and enjoyed a laugh and some singing etc The all peoples show was especially grand and amazing they do so much with what they have! Didn't one single producer or assistant, or ANYBODY at CNN use their brain and consider blurring that brave woman's face in the video? I understand the importance of getting the story out to the world, but it could have been done without jeopardizing her life. Do you realize, Christiane and CNN, that you're the reason this woman is probably dead by now?? So much for responsible journalism. 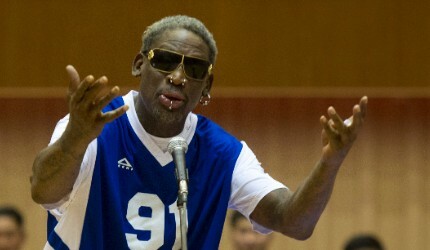 Somebody should seriously consider using Rodman as a Howard Campbell, Jr. sort of guy.